Vertical Leg Press is an isolation exercise that targets the quadriceps, hamstrings gluteus and calf muscles. Not many gyms have Vertical Leg Press machines and if yours does not have, you can use the Smith Machine. Typical of many leg press machine variants, there will be the urge to use heavy weights with this exercise. This should not be the case for the Vertical Leg Press because the angle will elevate your lower back and increase the tendency for rounding. This exposes your lower back to compression forces which is why using heavy weights is not advisable. Keep in mind that your legs will respond better with a higher rep range which will not be possible with heavy weights. Stay with light to moderate weights and use the Vertical Leg Press as a finisher in your leg workout. Set the stops of the Smith Machine at a height where when you lie down the top of your thighs are touching your ribcage. Lie on the floor and position your feet shoulder width apart. The bar should be positioned at the mid-sole of your feet and your heels in line with your lower back. Brace your hands on the floor alongside your hips for greater stability. Take a deep breath, exhale then press up the weight by pushing through with your feet. Do not lock out your knees at the top of the movement. Keep a slight bend to reduce shearing forces on your knees. Inhale then bring the bar down slowly and under control until the top of your thighs touches your ribcage. Be mindful of your lower back rising too much of the floor. When your knees have touched your ribcage, exhale then press the bar up to the starting position. It is advisable to have a spotter on- hand to assist you with the Vertical Leg Press especially when it is done on a Smith Machine. There are Smith Machines where the catches on both sides may not be stable and frequently shift during activity. 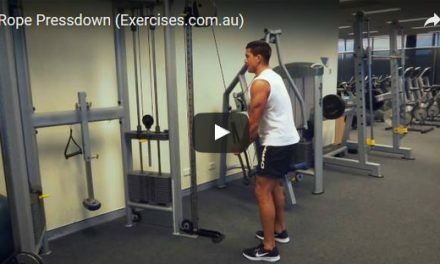 The most precarious part of this exercise is the elevation of the lower back. Some gyms have angled padding available to keep the lower back supported. Still, this should not be a reason to use unnecessarily heavy weight on this exercise. This is especially true if you have flexibility issues with your hips, lower back and hamstrings.